If you served in the military between 2003 – 2015, were issued dual-ended earplugs during service, and now suffer from permanent hearing loss or tinnitus, you could qualify for compensation. The 3M Company has been ordered to pay a large sum of money for defective earplugs they sold to the military many years ago. 3M has agreed to pay a total of $9.1 million to settle allegations it knowingly sold the defective combat earplugs to United States military without disclosing defects that limited the effectiveness of the devices. This lawsuit is not against the government or the armed services and does not affect disability benefits. 3M and its predecessor, Aearo Technologies, Inc., were aware that the earplugs sold to the military were too short for proper insertion into the ears, would loosen, and not effectively protect the users’ ears. As a result, members of the military who used the defective products may suffer from tinnitus (ringing in the ears), hearing loss, and other ear and hearing-related problems. 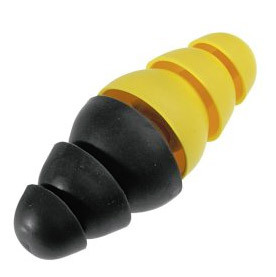 The now-discontinued Combat Arms™ Earplugs Version 2 were standard equipment for military deployed to Afghanistan and Iraq between 2003 and 2015. According to reports, over 1.6 million veterans have reported service-connected tinnitus. About 80% of those who suffer with the condition just live with it, and 20% of sufferers are so affected by it, they will seek medical attention. Why Should I Talk to an Attorney? At ELPO Law, we appreciate the service of all of our veterans and are passionate about assisting with all legal matters. If you or someone you know has suffered hearing loss or tinnitus from these defective 3M earplugs, we can review your case with you, at no charge to you, to determine if you are eligible to file a claim against 3M. It is important to act quickly. Contact attorney Jessica Shoulders at (270) 781-6500 or jshoulders@elpolaw.com for assistance with your case. We serve clients in all of Kentucky and Tennessee, including the following localities: Warren County including Bowling Green, Oakland, Woodburn, and Smiths Grove; Hardin County including Elizabethtown, Radcliff, and West Point; Christian County including Hopkinsville, LaFayette, and Oak Grove; Jefferson County including Louisville; and Fayette County including Lexington.